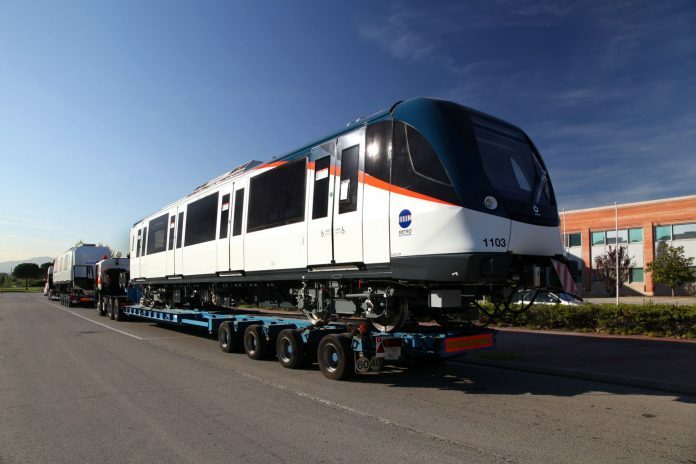 On March 23, Alstom shipped the first of 21 Metropolis trainsets for Panama metro’s Line 2 from its factory in Barcelona. Line 2, a 21km elevated route with 16 stations, is expected to enter commercial operation in 2019. It will run between San Miguelito and Nuevo Tocumen, will interconnect with Line 1 and will be able to carry up to 40,000 passengers per hour, per direction. Once Line 2 opens, the Panama metro network will total 37km. Alstom, as part of a consortium including CIM, Sofratesa, Thales and TSO, was awarded a contract to supply an integrated system to equip Panama metro line 2 in 2015. This includes the trainsets as well as traction substations and Urbalis – Alstom’s communication-based train control system (CBTC).